Very nice combination of baptismal boy kit for spring or summer baptism. The clothes set is extremely elegant in beige and blue colors. The cotton beige pants and the white shirt are accompanied by a blue jeans vest, with beautiful details on the buttons and the pocket. The set is adorned with the same jeans belt and a blue cloth bow tie. 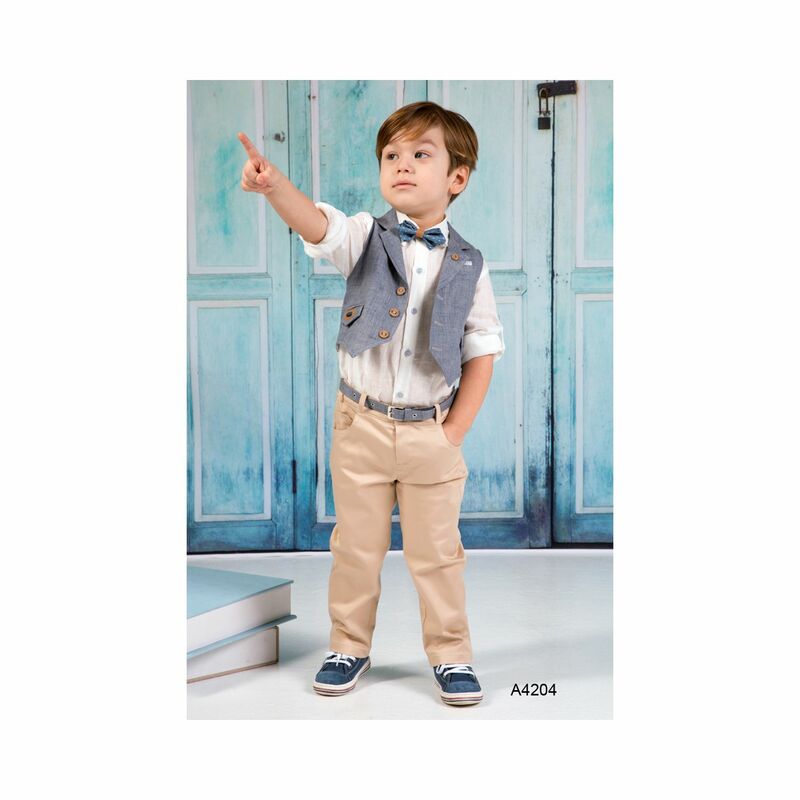 https://www.preciousandpretty.com/2018/07/baptism-boy-clothes-A4204.html Greek Wedding Favors|Orthodox Crowns|Stefana|Baptism Invitations Baptism boy clothes A4204 Baptismal boy clothes for spring or summer baptism. Combination of beige and blue jean color. Product #: Greek Wedding Favors|Orthodox Crowns|Stefana|Baptism Invitations_2313846678847609311 5 stars out of 5 reviews.